Just a short note on the new schedule coming out. It is starting to fill up nicely. Club managers and owners were waiting on the spring after the long cold winter, as well as the economy. They were pinching pennies just like the rest of us. I have to tell you folks if you had not made it out to The Bridge Tavern 4 miles north of Crosby you have been missing out. What a great club and what a fantastic group of loyal fans to Alan Godage & Sundown. We are so proud to call all of you our friends as well as fans. We truly have to give Jo and Russ big HALOS for the fine job they are doing at keeping Classic Country Music alive. They truly want Classic Country Music in their establishment and make a real effort to keep the crowd happy. They have a cover charge but they also have waitresses to wait on you. The Food is great and the dance floor is always full. The crowd comes early to get their seats and order food and let their food settle a little before the music starts. Once it starts the dance floor is never empty!! So Thanks again to Jo And Russ for keeping Great Classic Country Music alive with Alan Godage & Sundown at this fun roadhouse club. Now on to more news We are going to be back at the Lost Isle in Carlton. This has to be one of the biggest wood dance floors still around and it is kept clean so it is nice to dance on. We did not get a chance to eat there but everyone I talked to said it was great. They have waiters and waitresses to wait on you so you are not standing around waiting to get served. Their customers are important to them. That is nice to see. Thanks to Tim and his staff at the Lost Isle. 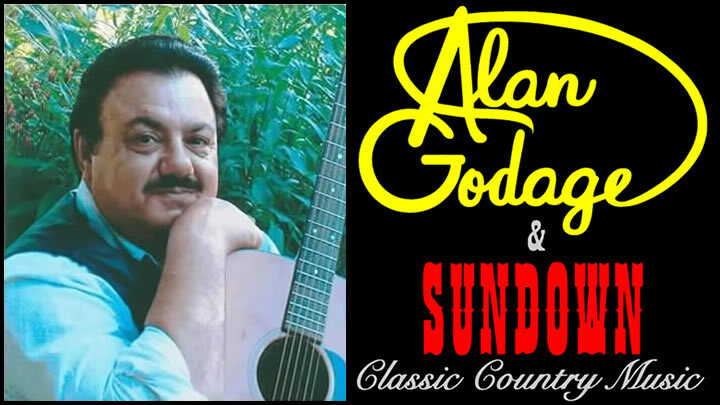 Please give this club consideration if you are looking for some great country music Come See Alan Godage and Sundown on the 24th of April. We have been invited back to Captains in Isanti. If you have not been to this club they have great food and a huge wood dance floor. They are looking to add us once a month so I hope all of you come out and support this great local club. Its on a lake and we have been looking for a resort and now we have that chance. Infact, they called and asked us to play this Saturday night the 25th of April from 7-11pm. It is a benefit for a local Isanti man whos name I only got as Gilley he was hurt in a 4 wheeler accident and this will help him and his family with the burden of mounting hospital bills. There is going to be a Spaghetti Dinner for $10.00 a plate and a silent auction. Let’s show them that Classic Country Music Lovers have big hearts not only for the music they live for but for a fellow human being in need. The benefit starts at 3:00PM and goes to 7PM then the music starts. There is no charge at the door. We are also back at the Medina Entertainment Center it sounds like a lot of you have been calling Bob at the Medina asking for us. We want to thank you for that. So lets give the Medina what it deserves and get a big crowd rounded up like we did at the Knights of Columbus in Fridley so we can keep coming back. At the KC’s you paid a hefty $10 at the door plus food and beverages on top of that. The Medina is only having $8.00 cover and let’s give that dance floor a work out. If we don’t have a great showing Bob won’t be able to have us back. We play at least 100 miles north of the cites for the most part so here is our chance to stay in your area. Now for a new venue we are COMING to The North St. Paul Legion. They are looking at having us in there once a month we will start out on a Sunday then try a Saturday evening and a Sunday afternoon. We are going to need your feed back to what you the dancers would like . They have repainted the legion to give it a fresh clean look to go with the new management with new ideas. We just happen to be one of the new ideas they would like to try. I have been to this club and it is very nice, it has a big stage along with a nice dance floor and great seating almost everyone in the club can see the band from where they sit. They have added food such as hamburger baskets, onion rings, Heggies Pizza and hope to have more before our first time in there. They have free popcorn!! No COVER Charge at this point. How good is that? Please come support us at this venue as we are really trying to get into your area so help us give them a showing of support for Classic Country Music. I have to get working on the schedule, so I will close for now. Stay Tuned for updated information.